Save an extra CDN$ 18.13 (35%). Buy the Kindle Edition instead. Ships from and sold by --SuperBookDeals-. Despite advanced tools and methodologies, software projects continue to fail. Why? Too many organizations still view software development as just another production line. Too many developers feel that way, too—and they behave accordingly. 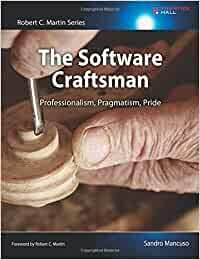 In The Software Craftsman: Professionalism, Pragmatism, Pride, Sandro Mancuso offers a better and more fulfilling path. 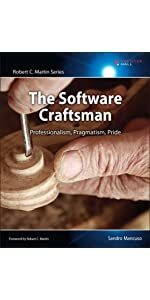 If you want to develop software with pride and professionalism; love what you do and do it with excellence; and build a career with autonomy, mastery, and purpose, it starts with the recognition that you are a craftsman. Once you embrace this powerful mindset, you can achieve unprecedented levels of technical excellence and customer satisfaction. Mancuso helped found the world’s largest organization of software craftsmen; now, he shares what he’s learned through inspiring examples and pragmatic advice you can use in your company, your projects, and your career. Sandro Mancuso has coded for startups, software houses, product companies, international consultancies, and investment banks. In October 2013, he cofounded Codurance, a consultancy based on Software Craftsmanship principles and values. His involvement with Software Craftsmanship began in 2010, when he founded the London Software Craftsmanship Community (LSCC), now the world’s largest and most active Software Craftsmanship community, with more than two thousand craftsmen. For the past four years, he has inspired and helped developers to organize Software Craftsmanship communities throughout Europe, the United States, and the rest of the world. 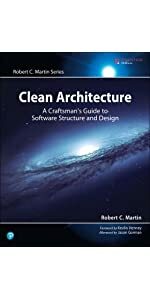 Start reading The Software Craftsman on your Kindle in under a minute. Sandro Mancuso has coded since a very young age but only started his professional career in 1996. He has worked for startups, software houses, product companies, international consultancy companies, and investment banks. In October 2013, Sandro cofounded Codurance, a consultancy company based on Software Craftsmanship principles and values. During his career, Sandro has worked on various projects, with different languages and technologies and across many different industries. Sandro has a lot of experience bringing the Software Craftsmanship ideology and Extreme Programming practices to organizations of all sizes. Sandro is internationally renowned for his work in spreading Software Craftsmanship principles and is a renowned speaker at many conferences around the world. His professional aspiration is to raise the bar of the software industry by helping developers become better at–and care more about–their craft through sharing his knowledge, skills, and experiences. Sandro’s involvement with Software Craftsmanship started in 2010, when he founded the London Software Craftsmanship Community (LSCC), which has become the largest and most active Software Craftsmanship community in the world, with more than 2,000 craftsmen. For the past four years he has inspired and helped developers to start and organize many other Software Craftsmanship communities in Europe, the United States, and other parts of the world. 5.0 out of 5 starsVery likely this book will become software development classic! For those interested in planning their careers and promoting the profession, you'll find plenty of good advice. 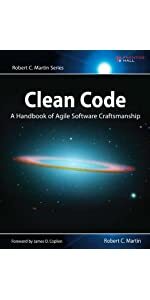 Certainly a "must read" for all who cares about software craftsmanship. The book was very good when it comes to craftsmanship and professionalism and pride. I felt the book mostly reflects my attitudes on the art of software development, and the craftsmanship mentality. The only beef I have with this book is the over emphasis on agile techniques, TDD in particular. I believe you can be a craftsman without TDD. It reminds me of Uncle Bob proclaiming its unprofessional not to practice TDD. I’ve been sympathizing with the notion of “software craftsmanship” for quite a while. I truly believe it is vitally important to spread the notion of professional software development, and therefore I was absolutely thrilled when I got this book. Sandro’s writing is an amazing summary of thoughts on craftsmanship and advice for true professionals: how staying loyal to your craft makes you gradually better at it; how shifting to management is not a career progression, but a career change. This book will tell you that “being a professional developer” is not about wearing a fancy suit or using expensive enterprise-grade solutions; it is about constantly striving to deliver excellent solutions that solve customers’ problems. 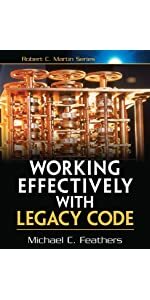 This author is a passionate developer who walked a long journey to mastery and is sharing with us all the real life stories, gotchas and mistakes that he (or people he worked with) made along the way. Sandro spends a solid portion of the book discussing Agile and in particular the Agile transformations that many companies recently went through. He makes some great points on how many people tend to focus on the process, while Agile is way more than that. There are very important technical parts of Agile (TDD, XP, etc.) that various process-oriented agile coaches take for granted. A software craftsman quite often has to enter unknown waters and start with transformation from the very bottom. The book gives you some great advice on how to convince people to adopt certain practices (like TDD), how to make management understand the ROI of high-quality code, and how to surround yourself with great people (and, last but not least, how to hire great craftsmen). In general, this book is quite easy reading. You can happily read a chapter or two even after a day of hard work. If you love what you do and if you’re truly committed to excellence, you can't go wrong with this one. This is a pretty good book for professional behavior recommendations; process and team recommendations, not so much. The content in chapters four through eight is the most interesting, covering practical aspects of the "software craftsmanship" discipline. Some of the recommendations are relatively dogmatic, though; pair programming hasn't held up particularly well in research, for example, and some of the flogging of agile methodologies were based on "No true Scotsman" arguments so typical in this space. The interview tips are, by and large, good, although the attacks on "9 to 5" developers are annoying; some of the best developers I know could be described as "9 to 5" developers, and some of the worst spend all their time working. I recommend the book, with the caveat that you should take the XP-based and team-oriented commentary with a grain of salt. how to educate employees in your organization, how to keep high morale... and many other things you didn't know you should think about as a manager and a software developer. In this book, the author describes his personal journey from an aspiring developer to an experienced professional. Sandro is a pundit for software craftsmanship, a phrase which delights some developers and irritates others. 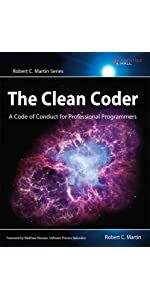 Regardless of how you view software development, the author provides personal and compelling descriptions of the profession's good, bad and ugly dimensions. With my 35+ years of experience as a developer, I could relate to nearly all of Sandro's experiences. The central question is what the attributes and habits of a truly professional developer are. The raw truth is that most software projects are grossly mismanaged and often employ unmotivated, semi-skilled developers. Is it any wonder that the majority of software projects are poorly designed, poorly implemented and painful to work on? Is it therefore surprising that a large percentage of those projects are abject failures? If you're an experienced developer but can't relate to Sandro's stories, then "professional" is a word that you will probably never understand. Explains in details values, attitude and a way to become a Software Craftsman. It requires more skills and activties than Agile, Clean Code and XP practices. Passioned, practical and well written!